ACI Counseling is a substance abuse rehabilitation center run by American Charities Inc. As a treatment facility providing outpatient services, they are situated in multiple locations across the state for better accessibility. 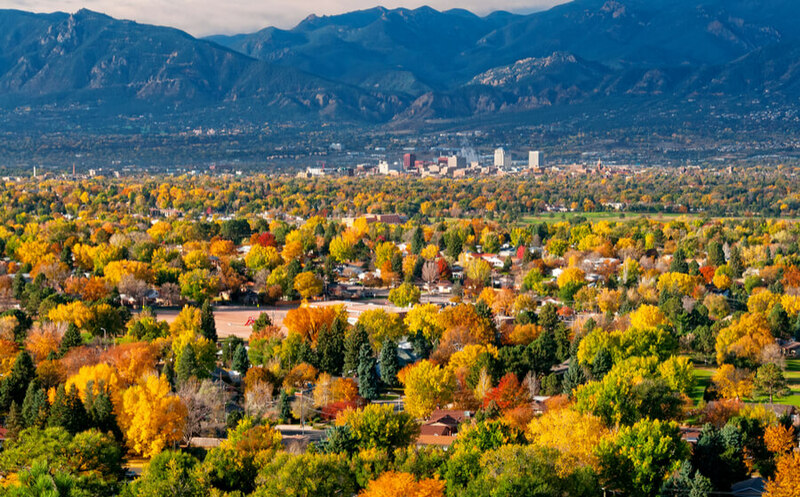 These include centers in Colorado Springs, Aurora, Centennial, Thornton, Denver, Lakewood, Northglenn, and Castle Rock. ACI Counseling prioritizes the accessibility of their services over all else. This is why apart from having numerous centers located all over Colorado, their treatment programs are also affordable. This ensures that prospective clients can avail their services even if they are economically weak and would otherwise be unable to afford the regular rehabilitation centers. ACI provides treatment programs in English as well as Spanish to serve the needs of its diverse clientele better. Treatment commences with an initial assessment, followed by counseling, therapies, and education regarding drug and alcohol addiction. Clients are oftentimes referred to ACI through DUIs and court mandates though their services are available to all. ACI counseling is an outpatient service provider to substance abuse victims and as such does not provide accommodation facilities. The treatment programs and therapy sessions are carried out across its various centers. These centers all provide a peaceful and quiet ambiance along with neat and spacious buildings. This further contributes to the quality of rehabilitation received by the patient and their quick recovery. Treatment at this facility commences with a thorough initial assessment. Depending on the intensity of the programs, clients may have to attend therapies and associated meetings for either 9 hours a week for 90 days or 3-8 hours a week for 4-6 weeks. These sessions include group therapies for two hours a day for 5 days a week. ACI Counseling offers an affordable solution to substance abuse and alcohol dependency problems of economically weaker victims. They charge a minimal rate of $70 for each individual sessions, $35 for every group sessions, and $10 for each DUI class. They accept payments in the form of self-pay. ACI Counseling is an affordable rehab option for those substance abuse victims who cannot afford regular more expensive treatment centers. They provide a range of therapies and treatment levels to ensure that they can meet the specific needs of each client. The various facilities usually accept clients through DUI referrals and court mandates. The center provides a level 1 and a level 2 treatment module. The level 1 module is meant for those clients who were found guilty of driving while influenced by various substances. These clients usually have no recorded history of substance abuse before being convicted of driving under the influence. They have to attend a 12-hours education program to ensure the prevention of any further cases of drunk driving. The level 2 module is for clients who exhibit a pattern of regular substance abuse and repeat offense of driving under influence. These repeat offenders are referred to the level 2 treatment program based on previous of DUI arrests and have to attend a minimum of 24 hours worth of sessions. These sessions consist of therapies aimed at relapse prevention. David Digiorgio was a Director and co-founder of American Charities Inc. As a regional director for over 5 years with the Denver facility, he is in charge of developing and implementing strategies, territory analysis for two locations, and raising funds and awareness. He has a degree in Business, Management, Marketing, and related support services from CEG d’arette and a degree in Business Administration and Management from CEP de Canne. Debora Berzoza is a Certified Alcohol Counselor with over 21 years of experience in the field of behavioral healthcare. She joined ACI Counseling as a Sister of color in 1997 and has been serving as a CAC-III at the facility for over 8 years since January 2010. As a certified alcohol counselor, she is in charge of overseeing and conducting group as well as individual therapy sessions with clients. She speaks English and Spanish and conducts therapy sessions in both languages.